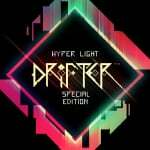 Hyper Light Drifter - Special Edition (Abylight, €19.99 / £17.99) - Explore a beautiful, vast and ruined world riddled with dangers and lost technologies. Echoes of a dark and violent past resonate throughout a savage land, steeped in treasure and blood. Hyper Light Drifter is an action adventure RPG in the vein of the best 16­bit classics, with modernized mechanics and designs on a much grander scale. 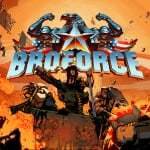 Broforce (Devolver Digital, €14.99 / £13.49) - When evil threatens the world, the world calls on Broforce - an under-funded, over-powered paramilitary organization dealing exclusively in excessive force. Brace your loins with up to four players to run ‘n’ gun as dozens of different bros and eliminate the opposing terrorist forces that threaten our way of life. 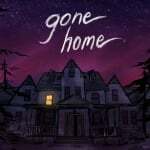 Gone Home (Annapurna Interactive, €14.99 / £11.99) - You arrive home after a year abroad. You expect your family to greet you, but the house is empty. Something's not right. Where is everyone? And what's happened here? Unravel the mystery for yourself in Gone Home, a story exploration game from The Fullbright Company. 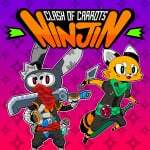 Ninjin: Clash of Carrots (Modus Games, €14.99 / £11.99) - Ninjin: Clash of Carrots is an anime-inspired beat-‘em-up with a gaggle of varied enemies, deep customization… and ninjas! Play through side-scrolling worlds consisting of multiple stages and collect carrots stolen by the evil Shogun Moe! Gakuen Club (D3 Publisher, €24.99 / £19.99) - “Gakuen Club” is a school life romance game set in a famous private academy. The game features unique and distinct characters with their own stories and outstanding voice work. Kentucky Robo Chicken (Solid9, €2.24 / £2.06) - Help the Robo Chicken get the stolen light bulbs back! Fly, run, dash and put your skills to the test! Monkey King: Master of the Clouds (UFO Interactive, €4.99 / £4.49) - A huge Japanese coin-op hit developed by HOT-B in 1989, the game was later renamed Cloud Master when released outside Japan on the Sega Master System. 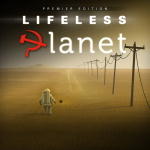 This upgraded release of the original arcade version includes HD ready elements by developer Starfish-SD, the company formed by the original HOT-B development team. For the first time, live online leaderboards will add a worldwide competitive quality to the game not possible before. Shikhondo: Soul Eater (Digerati, €12.59 / £11.33) - Shikhondo - Soul Eater is a Korean bullet-hell shoot ‘em up set within a beautiful and bizarre world of Asian mythology. Armies of demons known as yokai have escaped from Limbo. They are spreading like a plague across the land, sowing fear and stealing souls. You must destroy the pestilent invaders and free the captured souls from eternal torment. Slice, Dice & Rice (ARC SYSTEM WORKS, €17.99 / £16.19) - In "Slice, Dice & Rice", a single, clean hit will determine the victor. The winner of the duel is determined by one's mastery of "Parry" and "Shingan". "Parrying" your opponent's attack will place you in an advantageous position. The "Shingan" will assist you in dealing with incoming attacks. Once activated, time slows down, making it easier to "parry" your opponent's attack. FullBlast (Ratalaika Games, €4.79 / £4.79) - With an art style inspired by the 80’s and the 90’s, FullBlast is a vertical-scrolling shooter that will bring a dose of nostalgia to all gamers who spent many an hour at their local arcade, engaging in Shmups. But don’t worry, just because it’s retro in origin, modern conventions and technology have been considered, resulting in a modern and vibrant presentation that is the perfect way to introduce a new generation of gamers to a largely untapped genre. Ludomania (Baltoro Games, €3.00 / £2.69) - Ludomania - a one-of-a-kind app with which you can play the most popular variations of the medieval Indian board game: Pachisi! Mummy Pinball (EnjoyUp Games, €1.99 / £1.79) - The most entertaining Pinball is back! Enjoy Mummy Pinball, a perfect reproduction of a real pinball machine, with all the graphic details and sounds. 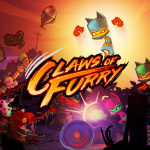 Discover all the secrets, complete all the missions and become number 1 in the world or the best among your Friends, posting your high score on the online leaderboard. Super Inefficient Golf (34BigThings, €7.99 / £6.99) - Super Inefficient Golf builds on top of the most inefficient game ever conceived by making it even LESS efficient. Drop your silly golf stick and start using exploding mines to guide your ball! Place them, choose the right timing, and BOOM - Birdie! Sigi - A Fart for Melusina (Sometimes You, €4.99 / £4.49) - Super tight gameplay and wonderful pixel graphics make Sigi a light-hearted and loving 8-bit adventure to enjoy. Swim Out Demo (Lozange Lab, Free) - Over 100 levels nestled in carefully crafted landscapes, soothed by the sound of seagulls, frogs or water splashes. 7 chapters combining: 12 different types of swimmers, 12 different objects to interact with, 6 disruptive environmental elements like waves, crabs or jellyfish that will give your brain a work out until you swim out! YO-KAI WATCH BLASTERS: Red Cat Corps (Nintendo, €39.99 / £34.99) - Players can team up with up to three other friends either locally or online to fight towering Big Bosses, using skills and powerful Soultimate Moves. While previous YO-KAI WATCH games focused on turn-based battles, YO-KAI WATCH BLASTERS drops you into real-time skirmishes, in the first ever action RPG for the series. Each of the two versions of the game contains different Yo-kai, missions and bosses. By trading between the two, you can collect all the Yo-kai! YO-KAI WATCH BLASTERS: White Dog Squad (Nintendo, €39.99 / £34.99) - Players can team up with up to three other friends either locally or online to fight towering Big Bosses, using skills and powerful Soultimate Moves. While previous YO-KAI WATCH games focused on turn-based battles, YO-KAI WATCH BLASTERS drops you into real-time skirmishes, in the first ever action RPG for the series. Each of the two versions of the game contains different Yo-kai, missions and bosses. By trading between the two, you can collect all the Yo-kai! Nefarious (Digerati, €13.49 / £12.14, pre-order from 04/09/2018) - Pre-Order until 12/09/2018, 23:59 local time Game description: Tired of playing the hero? Nefarious is a 2D action platformer where you get to be the villain! Step into the wily shoes of Crow, an evil genius on an epic quest to steal princesses for his royalty-powered death ray – the world-conquering Doom Howitzer. The Warlock of Firetop Mountain (Tin Man Games, €19.99 / £15.99, pre-order from 04/09/2018) - Pre-Order until 13/09/2018, 14:59 local time Game description: Battle, sneak, and charm your way through thousands of story options as you play through over a dozen major quests, each unique to a different Hero. Siegecraft Commander (Level 77, €19.99 / £17.99, pre-order from 05/09/2018) - Pre-Order until 19/09/2018, 14:59 CEST Game description: Play through the Knight campaign as you battle against the tribal Lizardmen or enjoy the ground-breaking PvP combat system that will deliver fast-paced real-time strategy action or tactical turn-based gameplay. 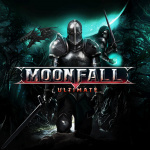 Multiplayer allows either game mode, while single-player focuses entirely on real-time strategic gameplay. Surgeon Simulator CPR (Bossa Studios, €9.89 / £8.99, pre-order from 06/09/2018) - Pre-Order until 13/09/2018, 08:59 CEST Game description: Didn’t fancy seven years at medical school? Skip straight to the operating table with Surgeon Simulator CPR, fully revived and feeling better-than-ever on the Nintendo Switch! Now featuring all-new motion control functionality as well as local co-op play, it’s time to scrub up for the most immersive version yet of the infamous operation sim! 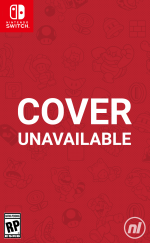 Undertale (8-4, €14.99 / £11.99, pre-order from 06/09/2018) - Pre-Order until 17/09/2018, 23:59 local time Game description: The world-famous indie RPG UNDERTALE comes to Nintendo Switch! Fall into the underworld and explore a hilarious and heart-warming world full of dangerous monsters. Date a skeleton, dance with a robot, cook with a fishwoman... or destroy everyone where they stand. The future is yours to determine! Wasteland 2: Director's Cut (inXile Entertainment, €25.99 / £23.99, pre-order from 06/09/2018) - Pre-Order until 13/09/2018, 08:59 local time Game description: The Wasteland's hellish landscape is waiting for you to make your mark... or die trying. With over 80 hours of gameplay, you will deck out your Desert Ranger squad with the most devastating weaponry this side of the fallout zone, test the limits of your strategy skills, and bring justice to the wasteland. Very interested in Hyper Light Drifter, but once again I'm at the dilemma of "Is this getting a physical release?" 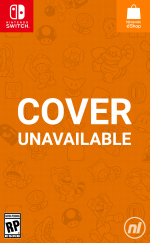 Titles like Hollow Knight and even Fairune Collection for example, getting physical soon. Really curious about Sigi - A Fart for Melusina!! 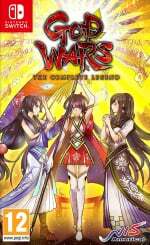 Sales on ACA Neo Geo games. First time on Switch, but they're the same games that went on sale two weeks ago on Xbox One. Not the best ones, I picked 3 for Xbox One (achievements, you know...) being games that weren't on my wishlist but for that price were worth the price. They were KOF 94, Alpha Mission II and Samurai Shodown. Not must-haves, but still good in 2018. The others on the list have bad reviews everywhere. Anyway, the important thing here is a precedent has been set. Hamster games can go on sale. Hyper Light Drifter and Wasteland 2, but not right away. @RazumikhinPG That's Mario's grandpa: Old fart Melusina. 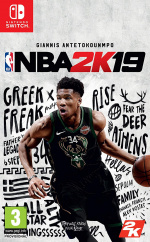 Definitely picking up NBA 2K19 20th Anniversary Edition, superb deal. Might pick up 10 copies. Nothing until Torna next week and then potentially nothing until Smash Ultimate. Axiom Verge. I almost bought it last week now it's on sale, 50% off. @BladedKnight Next week is all about Spider Solitaire. "One of the discounts", which used to be an option. Might get Axiom Verge. I've been holding out for the physical edition, but that might never arrive. Hamster games and Axiom Verge both very tempting, but I’m half way through Okami and I haven’t even started Hollow Knight - so I’ll be good and hope to see them on sale regularly now. 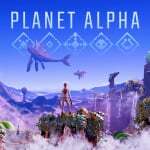 Very good AAA and indie games this week, as well. Keep them coming. @Moroboshi876 Yeah, i think they kind of shot themselves in the foot now. Although they're getting alot of sales now with the discount, I am now much more prepared to wait until others get a sale as well. @Megal0maniac Well, I don't think it's going to happen very often, and they chose games that probably aren't selling very well. But still, I use to buy them in the South African eShop when the rand is low, and right now Hamster games in general cost about 5 euros in that store, so that's what I will keep doing when I'm interested in a release. Hope to see Arcade Archives classics like R-Type and others due to release this year (according to the Wikipedia) come soon. Tiny hands is heavily discounted, didn't only come out a couple of weeks ago. Any good at this price? I like a 3D platformer! 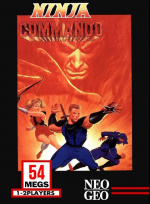 Hotdamn, a NEO GEO sale! Granted, the same titles as what were discounted on XBONE a few weeks ago, but welcomed none the less! NBA for me. Haven't played one in a few years. Time to jump back in. @Moroboshi876 Well, having games on the discounts page does open up another thing, more attention. A lot of these games are also first entries so if say someone really enjoyed Metal Slug or KOF 94, they may very well pick up the rest of the entries full price. Fire top mountain is missing from the voting list ! One Strike is 89p. EIGHTY NINE PENCE! Less than a credit on some coin-ops lol. SOLD! Oh man, Warlock of Firetop Mountain is my childhood. I spent ages with those books, scribbling on my character sheet and rubbing it out so much that there's a million different faded pencil marks all over. 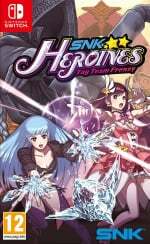 I might get SNK Heroines, I can’t decide between that or Spider-Man. I’m giving up on The Messenger, I can’t beat the dragon boss. Utter shame they didn't release Yo-kai watch blasters on the Switch. Since having the Switch it's just too hard to return to the 3DS. @Moroboshi876 Yeah, same here. I was shocked to see 24 ACA titles on my home menu though, it adds up! Just bought the 25th, Alpha Mission II at 3 euro. Great music! Monkey King Master of the Clouds? Seriously? The arcade version of my favourite Master System game ever! For me, this is beyond amazing. Still one of my top three shooters. Unbelievable. Ecstatic. Sorry but I still have monsters to slay and palicos to level up. Can't believe I've never played Metal Slug before. Might have to pick it up. Glad to see Hamster games in the sale. 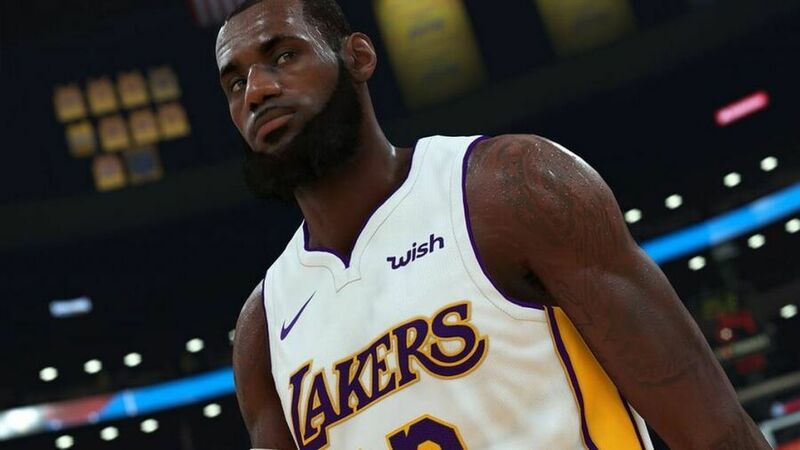 I learnt my lesson last year with NBA 2K. It'll be half price by the end of October. It's a good game but drops like a stone.